Yellow Mellow! 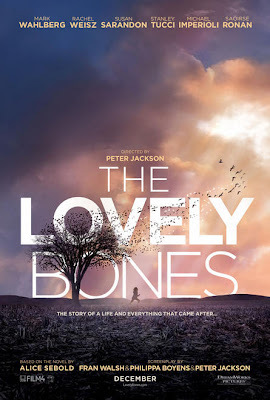 : The Lovely Bones Poster! The Lovely Bones which hits theaters on December 11th, 2009! New Teaser Poster: How To Train Your Dragon! New Photos: Robert Zemeckis' A Christmas Carol! New Concept Art Photos: Astro Boy! New Photos: James Cameron's Avatar! 2nd New Trailer: The Wolfman! Behind The Scenes: A Christmas Carol! New Trailer: Mary And Max! New Japanese Trailer: A Christmas Carol! First Look: How To Train Your Dragon Character! New Character Posters: Toy Story 3! New Trailer: Toy Story 3! Exclusive Toy Story 3 Character Posters! Exclusive Billboards: The Princess And The Frog! The Imaginarium Of Doctor Parnassus Trailer! Another New Photos From Clash Of The Titans! Exclusive 5 Minutes Clip From 2012 Movie! New Photo: Iron Man 2! More New Photos: Clash Of The Titans! New Photos: Clash Of The Titans!